Come Sunday we are going to talk about one key area for everyone of us, whether you are a follower of Jesus or not, and it’s forgiveness. Forgiveness is a practice that gives your life a fresh start. Forgiveness is a practice that creates a new future. Forgiveness is a practice that changes lives, but forgiveness is hard. Forgiveness is really hard. It’s easy to forgive someone when the slight was small, they ask for forgiveness, and change their behavior. But what if the issue is big? What if they don’t ask for forgiveness? What if they keep intentionally hurting or abusing – is forgiveness possible in these circumstances? Those are the questions I want to poke around in on Sunday. I want to acknowledge them, and try to answer them. And to do that we are going to be using a lot of the Sermon on the Mount, some of Louis Zamperini’s story “Unbroken” (so see the movie before Sunday if you don’t want to hear about it), and of course a little Taylor Swift. The question I want to pursue is this: Is forgiveness in horrible situations possible? And if so, how can we find it? So that’s where we are going, but before we get there why not spend some time thinking about those questions. 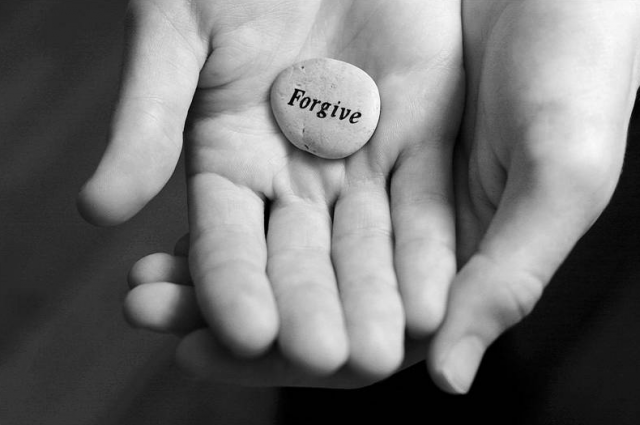 Are there people in your life that you need to forgive? Do you think it’s possible? What would forgiveness even look like? And then come Sunday we’ll explore this topic, and hopefully find a fresh start.